Mastering Copywriting Get it Now! Learn how to write copy that sells! I FIRST STARTED COPYWRITING FOR MY OWN BUSINESS, AND THEN FOR OTHER PEOPLE’S BUSINESSES... AND THEN I STARTED TEACHING OTHER PEOPLE ON HOW TO WRITE COPY THAT SELLS. 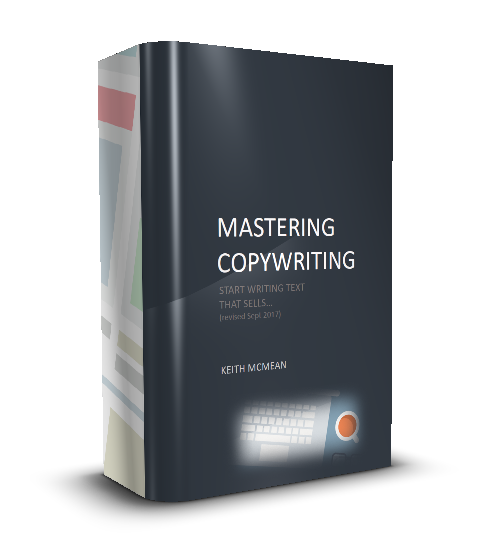 If you want to write copy that's going to convert better TODAY, I have something just for you ... the Mastering Copywriting eBook. It’s a 20-page PDF eBook that takes all the principles of writing high-converting copy and packs it into one easy-to-read checklist. I've spent years of my time experimenting and slowly learning how to write copy that sells. In the end, it has brought me and the businesses I've worked with lots of cash and recognition. With Mastering Copywriting, you can learn how to write copy that sells in one session. If you really put your mind to it, and I hope you do, you could do it in less than an hour.And I’m giving it to you ...FREE! The BEST use for the Mastering Copywriting is to skim through it each time you sit down to write copy. Even if you’re a good writer, this will surely churn your brain with ideas. If you want an easy-to-follow guide to help you every time you sit down to write copy, this is for you.With my free guide, you can start writing copy that converts higher and gets you more sales today.